If you’re looking for sharpening supplies and equipment that perform with professional results, Thorvie International is your leading source. Thorvie believes in offering quality products and supplies that are manufactured and assembled in the United States. Since its founding in 1977, Thorvie International continues to offer experience and expertise that you can count on. 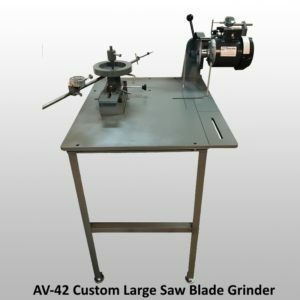 The AV-40 saw and tool sharpening system allows you to provide sharpening services to multiple markets. Many of these markets include construction and cabinet companies, tech educational programs and landscaping services. 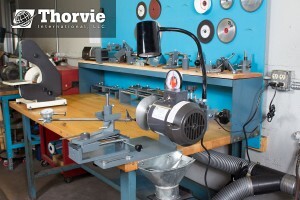 Thorvie offers unlimited customer service and technical support with the purchase of any sharpening machine. Thorvie International also offers additional sharpening supplies and accessories to take your business to the next level. 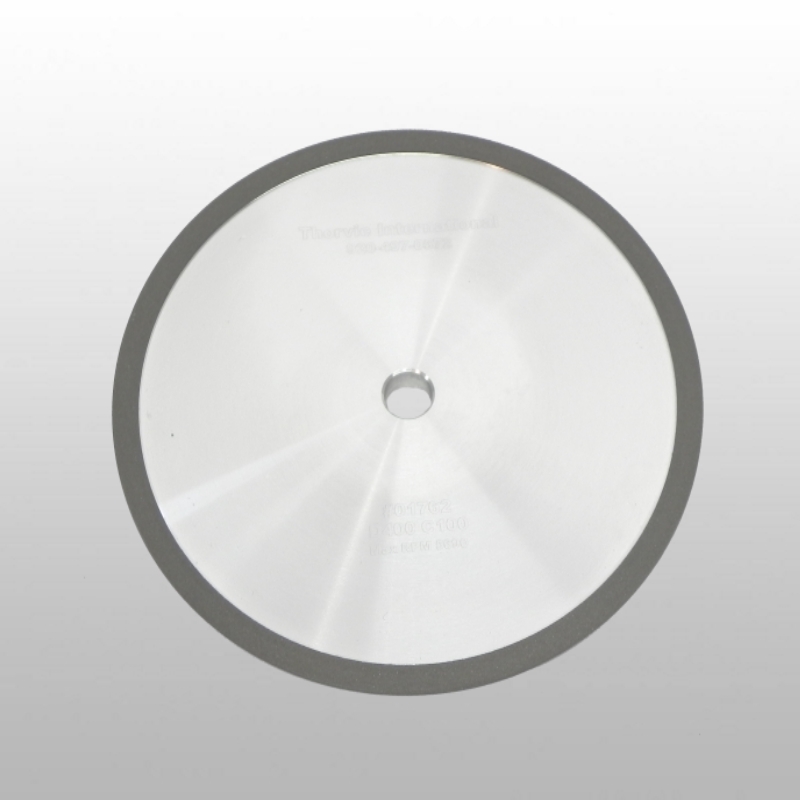 By visiting our website, you will find a variety of grinding wheels to support your sharpening needs. Thorvie grinding wheels are U.S. made, balance tested and competitively priced. 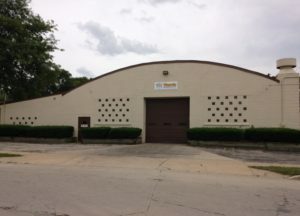 For more information on the sharpening supplies and equipment, contact Thorvie International at 920-497-0572, e-mail sales@thorvie.com or visit www.thorvie.com. Today I will focus on setting up drop off bins at local facilities to expand your sharpening area. Drop off locations can include your home, local hardware stores or lumber yards. Try to affiliate these locations to where your potential customers visit on a day to day basis. The purpose is to make it convenient for them to take advantage of your sharpening services. This is also an excellent way to advertise and jump start your business quickly. When you approach the manager or owner of the store, make sure that you specify that their employees do not have to do any work for the drop off bin. Retail store owners do not want their employees being distracted or taken away from their daily tasks. Ask them if you can put a bin or storage tote in the back stock room, by the tool rental counter or a location of their choice. Tell them you will have sales tags inside the bin so the customer can put their name and phone number on the blades they need sharpened and you will call them when blades are ready for pick up. You will want to include your sharpening price sheet on the top cover of the bin so potential customers know all the services you have available. Here are some ideas to help influence the retailer to allow you to offer this service. If the hardware store has a rental center, you can offer to sharpen their rental blades for free as a “thank you”. If they do not have a rental center, you can offer the employees a 20% discount or the owner free sharpening on his personal blades, also as a “thank you”.